Step it up wearing Feetures Merino 10 Ultra Light No Show Tab Running Socks. Merino wool and Tencel® fiber blend create a premium sock that helps keep your feet dry while still providing targeted compression where your feet need it most for exceptional comfort. The no-show tab design allows for minimal coverage and a sleeker look while offering protection where you need it. The iWick® nylon material moves moisture away from your skin for cool comfortable feet all day. 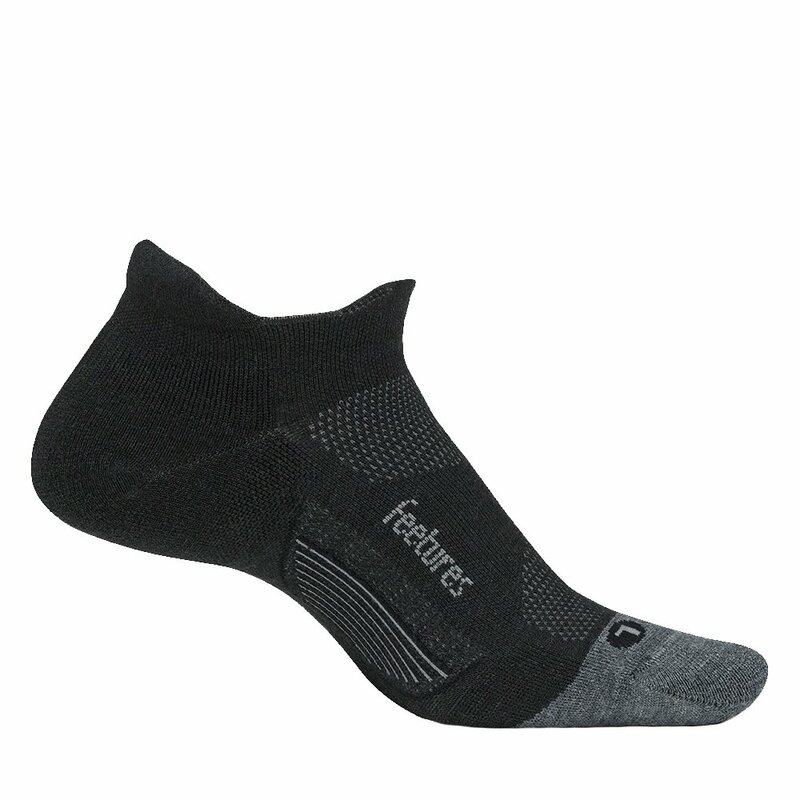 And as a staple of Feetures' socks, the Merino 10 Ultra Light No Show Tab Running Sock has a seamless toe to prevent chaffing and an anatomical design for that dialed in performance fit.